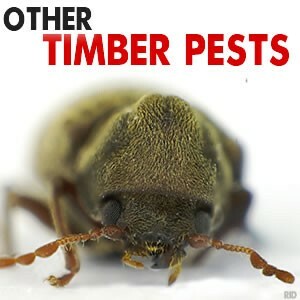 The Building Code of Australia states that if primary building elements in new building work (including extensions) are susceptible to termite attack, then, protective measures must be taken. Termite barriers provide protection from potential termite infestations with available treatments and methods varying, depending on the type of foundations & construction materials. The main objective or any barrier treatment or “Termite Management System” is to prevent concealed termite entry into a structure. RID Pest Control offer both pre-construction and post construction termite barrier options compliant with both Australian Standards (AS 3660) & Australian Building Code (BCA/NCC). A chemical soil termite barrier involves applying a chemical liquid to the soil, either under a concrete slab or around the entire perimeter of slab edge or both. Recent changes to the applicable standards means that any area with limited access after construction must be ‘replenishable’ – therefore reticulation is more or less a required for the traditional method of ‘under slab sprays’ many builders were used to. Chemical soil barriers can in sometime be applied post construction depending on access etc. We use prefer to use Fipforce Termiticide, Termidor Residulal & Termidor HE as well as Premise and Biflex among others depending on the specific requirements of each job! A physical termite barrier protects your property by preventing the entry of termites and is usually installed during building construction, typically prior to the slab being poured (part A) and after the slab has cured (part B). Did you know? : There is a distinction between a true physical barrier and a ‘chemical based physical barrier’ – we offer both and the difference is typically not actually known to builders, consumers and the public. If the physical material contains a chemical product that kills or repels termites it’s technically not a true physical barrier – it’s a chemical barrier. We prefer to use Term-Seal, Kordon & Homeguard products for our range of ‘chemical physical barrier’ options. With these options we complete the termite management system in two steps (Part A & Part B) to ensure protection under the slab or to penetrations and then the full cavity protection to prevent concealed access from the slab edge. Other options include non-chemical and more traditional ‘physical’ barriers such as Alterm & Novithor. Naturally RID is accredited in the installation and supply of all products and systems we offer. Adding an extension to an existing home. RID Pest Control are able to provide a range of termite barrier options to suit your exact needs. We routinely use and install an extensive and versatile range of termite barrier products that mean we can find a solution for any job no matter how custom or complex! For further information about termite barriers and treatment options please contact us. We are able to tailor customised physical barrier and termite protection systems for both post and pre-construction termite prevention treatments, now referred to as Termite Management Systems as part of AS 3660.1-2014. We can also deploy drill and inject, trench and treat methods in a more manual and post construction approach to termite management as per AS 3660.2. RID Pest Control technicians have been trained in and licensed in New South Wales & Victoria and are incredibly skilled and experienced with termite management and treatment. We know termites aren’t as active in the Ballarat region as warmer areas in Australia so we’ve gained valuable experience working in areas with real and catastrophic termite activity. Would you trust a pest controller who barely knows what a termite looks like? 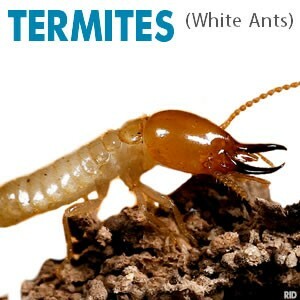 We’re forever taking on termite work in our region that the other pest control operators in our area just can’t eradicate because they lack the experience in dealing with complex termite control! We’ll get RID of ’em even when the others can’t! Call us on 0414 567 977 for a chat about your termite management needs! It’s impossible to provide an accurate costing for termite barriers because each and every home is different! The best way to obtain an obligation free quotation for your upcoming build is to provide us with plans / drawings of the dwelling. We can extract measurements, design requirements and provide a free quote and proposed termite management system. As a general rule for a brick veneer on slab type construction we need to know: how many slab penetrations and then how many lineal meters around the whole perimeter. Having the slab plan drawing & floor plan along with specs around brick course rebate etc is also required information to give an accurate quote. Get in touch with David at RID Pest Control today to discuss your requirements and we’ll provide you with an obligation free quotation.